A sulfate-free shampoo ideal for chemically treated, frizzy, thermally damaged, dry, curly, unruly, coarse hair types or anyone searching for moisture, brilliant shine, smooth condition and manageability. Infused with Avocado Oil, Keratin Amino Acids and Hydrolyzed Soy Protein. Free of sulfates, gluten, parabens, phthalates, iron oxides, mineral oil, petroleum derivatives, synthetic colors, nut ingredients, palm oil and 100% Vegan. Cruelty free. Emulsify and massage throughout damp hair. Rinse, repeat as needed. 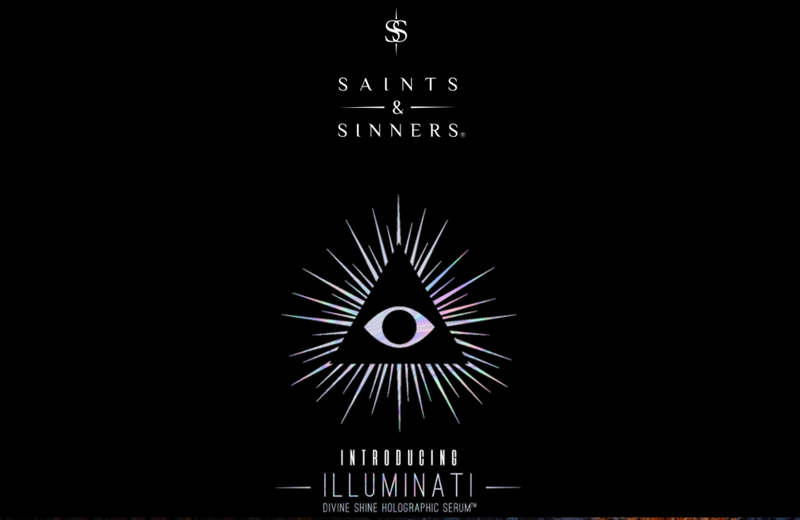 Follow with the complete range of Saints & Sinners products for optimal results. This intensely deep conditioning masque eliminates damage caused by chemicals, heat appliances, environmental stresses. Ideal for dry, frizzy, chemically treated, curly, thermally damaged, unruly, coarse, moisture starved hair. Adds brilliant shine, moisture, combability, strength and manageability while eliminating frizz. Free of gluten, parabens, phthalates, iron oxides, mineral oil, petroleum derivatives, synthetic colors, nut ingredients, palm oil and 100% Vegan. Cruelty free. 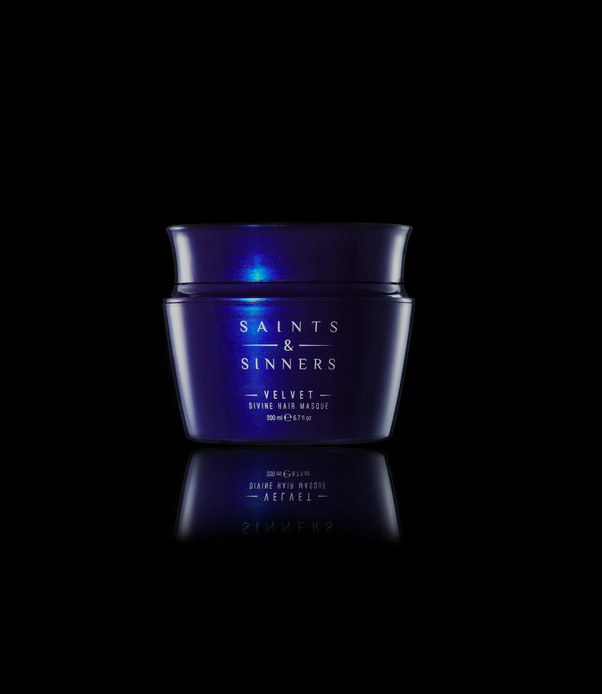 After shampooing with Saints & Sinners Shampoo, massage Saints & Sinners Velvet Divine Hair Masque throughout damp hair, scalp to ends. Leave for 3-5 minutes or longer for additional conditioning benefits. Rinse thoroughly. Follow with the complete range of Saints & Sinners Styling Products for optimal results. The Best Leave-In Conditioner you will ever use! Ideal for all hair types. Instantly detangles, eliminates frizz, adds shine, protects color, adds moisture, increases combability, strength & manageability while protecting hair against heat and environmental damage. Free of gluten, parabens, phthalates, iron oxides, mineral oil, petroleum derivatives, synthetic colors, nut ingredients, palm oil and 100% Vegan. Cruelty free. 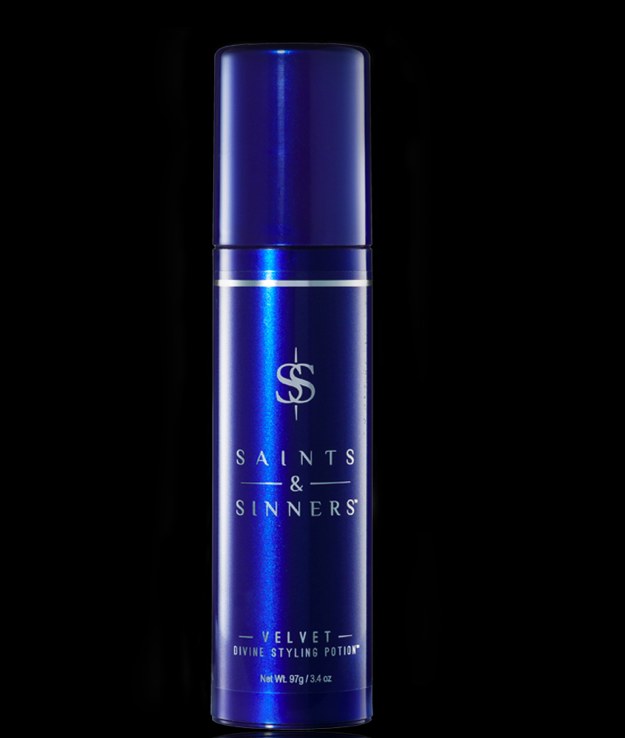 After shampooing and conditioning with Saints & Sinners Shampoo and Conditioner, spray Saints & Sinners Velvet Divine Leave-In Conditioner throughout damp hair, scalp to ends. Do Not Rinse Out! Leave in and style as desired. This invisible dry finish multi-tasking spray adds instant volume, texture, fullness and body. For all hair types. Goes on dry and stays flake free. Formulated with anti-statics, antioxidants and luxurious silk proteins. Free of gluten, parabens, phthalates, iron oxides, mineral oil, petroleum derivatives, synthetic colors, nut ingredients, palm oil, talc and aluminum salts. Cruelty Free. Shake Well. For use on dry hair. Spray in short bursts at root area for unparalleled lift and volume. Spray throughout hair for texture, flexible separation and divine finished perfection! Brilliant reflective illumination in a holographic treatment serum ideal for all hair types. Iridescent humidity resistant shine fused with protective botanicals Prickly Pear, Agave, Jojoba, Olive, and Coconut. Thermal and environmental protection smoothes frizz, protects color with an incandescent shine that is truly divine! Free of gluten, parabens, phthalates, iron oxides, mineral oil, synthetic colors, nut ingredients and palm oil. Cruelty free. Shake well. Apply sparingly throughout wet or dry hair. Style as desired.